Four people have been charged with drug offences by police carrying out an investigation into a Plymouth nightclub which was raided. 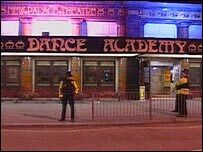 The Dance Academy on Union Street was closed following a police raid in May. Two men from Plymouth, aged 33 and 25, and a 35-year-old man from the Exeter area have been charged with permitting the supply of Class A drugs. An 18-year-old woman has been charged with an offence of possessing Class A drugs with intent to supply. The three men have been bailed by police and are due to appear at Plymouth Magistrates' Court on 11 August. The woman has also been bailed and is due to appear before magistrates on 16 August. A total of 21 people have been charged in connection with the investigation, Devon and Cornwall Police said.